Completed in 2004 as part of a $2 million renovation project, the Taylor Recreation Center includes a state-of-the-art fitness center that houses ample amounts of weights (free and machine) and cardio equipment. 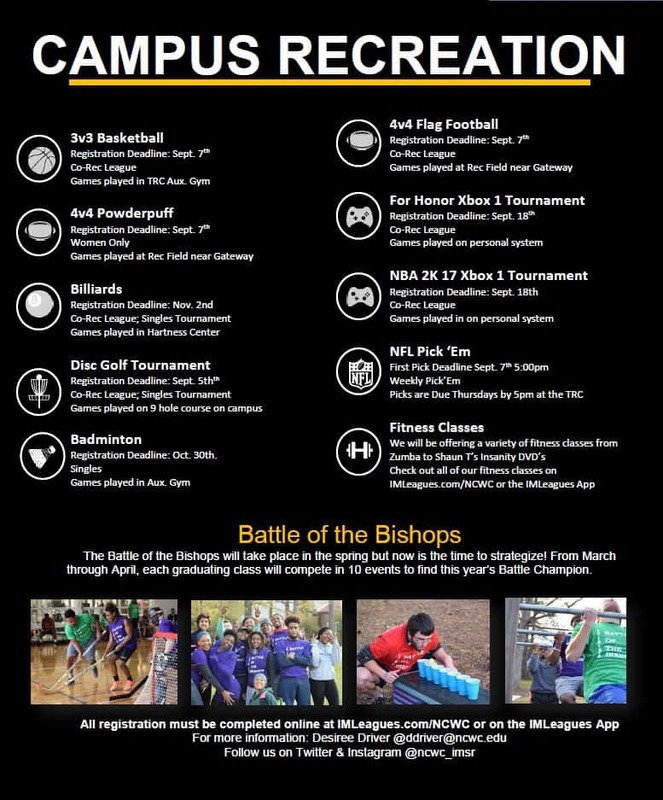 The TRC also includes a recreation gymnasium used for a variety of departmental activities including intramurals, group fitness, informal recreation, and special events. And for those that enjoy a good walk and/or run don’t forget to check out the Bishop Trails. These are five designated trails throughout campus measuring anywhere from .25 miles to 1 mile. 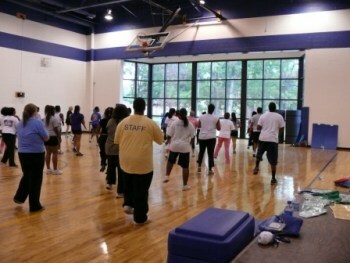 If it’s physical, the Taylor Recreation Center has it. 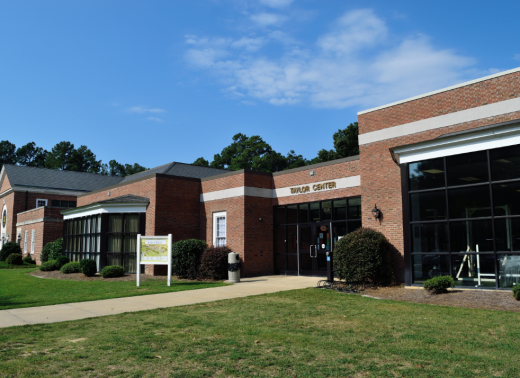 This is your very own on-campus health club and primary location for all recreational experiences at North Carolina Wesleyan College. For information concerning facility policies and reservations, click on the links in the left tab. It simply does not get any better than this! Become strong, lean and healthy with our Group Fitness Classes. All classes are taught by nationally certified instructors. 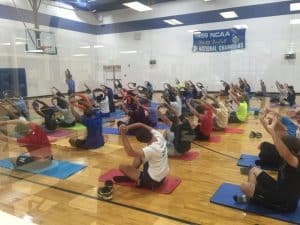 Fitness Classes are free for NCWC Students, Staff, Faculty, and TRC Members. Registration for fitness classes remains open throughout the semseter, meaning you can join a class at any time as long as you are on time. Spaces are limited, so make sure you come early to sign your waiver at the front desk and join the fun! To see the full class schedule, click here. A new IMSR initiative that that focuses on Fitness, Inclusion, and Transformation in fun and inviting ways to encourage fitness for everyone and every body type. This series includes fitness classes, videos, and instruction. Club Sports are registered student organizations formed by individuals with a common interest in a sport or recreational activity that exists to promote and develop interest in that particular activity. Clubs may be instructional, recreational, competitive, or some combination thereof. Because they are student-initiated and student-managed, club sports provide members numerous opportunities for leadership and decision-making. Effective leadership of officers and the degree of involvement of its members directly determine the success and strength of the club. Students interested in forming a new club should contact the Director of Intramural Sports & Recreation. 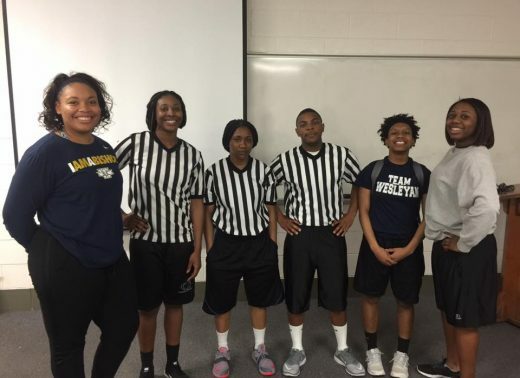 IM Sports & Recreation is the “hot place” to work at NCWC. We offer an atmosphere full of energy and constant excitement. In addition, our work study positions require a wide range of skills and provide practical work experience in a variety of job titles. Our goal is for these opportunities to allow students to enhance their leadership skills, as well as, be a part of the fastest growing team on campus. We are always looking for candidates who are filled with enthusiasm, possess strong customer service, and provide a commitment to excellence! Stop by the Taylor Center today to fill out an application. IMSR collaborates with the Rocky Mount Parks and Recreation Department’s Outdoor Adventure Program to provide an assortment of activities for the Wesleyan community. These include high/low ropes and propelling sessions; as well as, hiking, climbing, bouldering, canoeing, and sea kayaking day trips. These programs allow participants to experience new challenges with current friends while also making some new acquaintances. If you have ideas for future trips feel free to stop by the TRC to make suggestions.